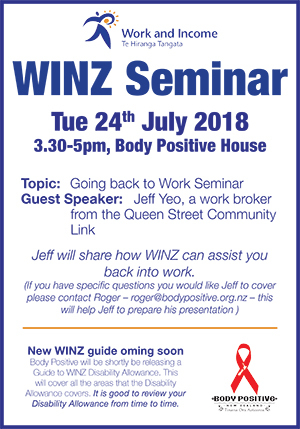 Jeff will share how WINZ can assist you back into work. 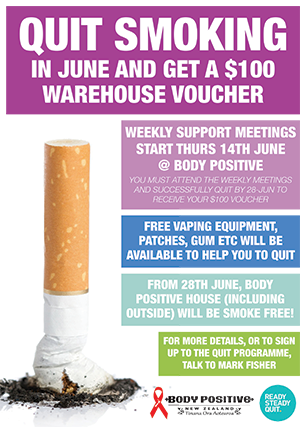 From 28th June 18, Body Positive House (including all outside areas) will be smoke free! 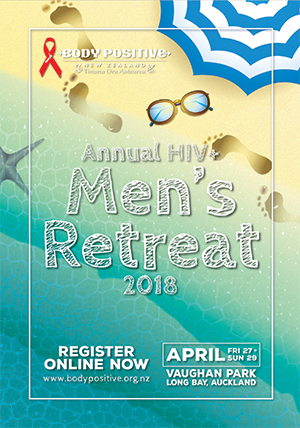 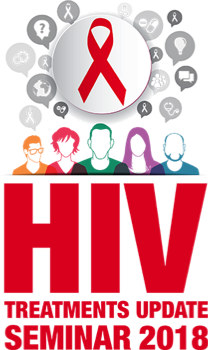 Dates for the 2018 HIV+ Men’s Retreat have been announced. 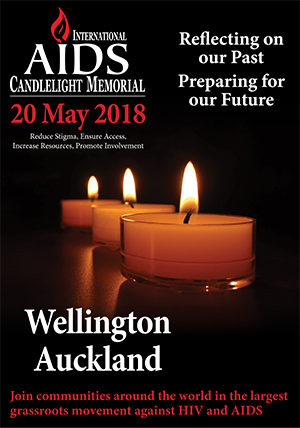 Starting on Friday 27th to Sunday 29th April, the Retreat will once again be held at Vaughan Park in Long Bay just north of Auckland. 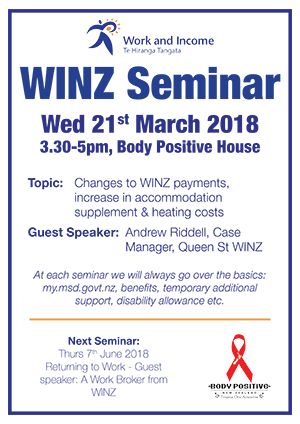 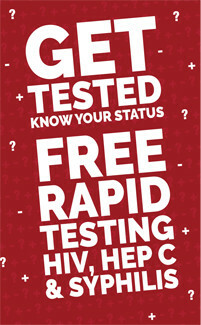 At each seminar we will always go over the basics - mymsd, benefits, temporary additional support, disability allowance etc.